DoubleLine Capital LP was founded in 2009. The DoubleLine International Fixed Income team has over a decade’s worth of experience in international fixed income markets. Ms. Ho is a Portfolio Manager for the DoubleLine Global Bond Fund. Ms. Ho joined DoubleLine in 2009 as an Emerging Markets Sovereign Analyst. She covers Latin America and Emerging Asia excluding China. Prior to DoubleLine, Ms. Ho was an Assistant Vice President at TCW for three years. At TCW, her responsibilities included Multi-Strategy Fixed Income analytics and managing the analytics for the group’s CDO investments. Prior to TCW, Ms. Ho worked as a Paraplanner for Ameriprise Financial. She holds a BS in Mathematics/Economics, and a Specialization in Computer Programming from the University of California at Los Angeles. She is a CFA charterholder. Mr. Campbell is a Portfolio Manager for the DoubleLine Global Bond Fund. 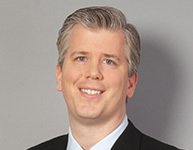 Mr. Campbell joined Doubleline in 2013 as an Emerging Markets Sovereign Analyst. He covers Developed Markets, Central & Eastern Europe, Middle East and Africa (CEEMEA), and China. Prior to joining DoubleLine, Mr. Campbell worked for Peridiem Global Investors as a Global Fixed Income Research Analyst and Portfolio Manager. Previous to that, he spent over 5 years with Nuveen Investments, first as a Quantitative Analyst in their Risk Management and Portfolio Construction Group, then as a Vice President in their Taxable Fixed Income Group. Mr. Campbell also worked at John Hancock Financial as an Investment Analyst. Mr. Campbell received his BS in Business Economics and International Business, as well as his BA in English, from Pennsylvania State University. He received his MA in Mathematics, with a focus on Mathematical Finance, from Boston University.